Maintaining and managing an accurate inventory is one of the biggest challenges in retail, but it’s vital for achieving retail success. Keeping track of your physical stock levels is important for spotting areas that can be improved, stock movement errors, and reducing the risk of shrinkage. That’s why we’re excited to announce the launch of our improved Inventory Counts feature! Inventory counts have never been simpler or faster. We’ve taken feedback from our amazing retailers, and used it to design a tool built from the ground up to help you do counts quickly, effectively manage your inventory reporting, and provide you with the information you need to run a successful retail business. Partial Inventory Counts: Break stock takes into smaller, more manageable chunks with partial Inventory Counts. This means retailers don’t need to shut down their entire store when doing a stocktake, instead they can take count of one style, tag, supplier, or brand at a time. Concurrent stocktakes: Many hands make for lighter work – use multiple devices to count stock faster. Quick Scan Mode: Count inventory quickly using a barcode scanner or by looking up SKUs. Count Feed: Never lose count again with the Count Feed which shows your most recently counted items. Accidentally scanned something in twice? Just cross it out on the Count Feed and it’ll update your overall total. CSV & PDF Reports: Get the reports and information you need in exportable CSV or PDF files. The CSV exports have been improved so all the important information is in one handy file, and the PDF includes Gain and Loss totals, for a more granular view of your stock take results. Recount and Review: Pause your inventory count at any time, and easily see when your numbers don’t add up with our expected vs total count. Fix mistakes easily, and recount stock quickly with the click of a button. Autosave: Thanks to the power of the cloud, your progress is always saved. You can stop or start inventory counts when you need, and pick up from where you left off. Scheduling: You can schedule your Inventory Counts in advanced so you’re always on top of your stock. Inventory Counts is built right into Vend, and is available on all our plans! This is just the beginning. We’re completely re-imagining Vend and adding new features to make it even better for retailers, including faster checkout, smarter inventory & powerful insights – in-store, online and on-the-go. 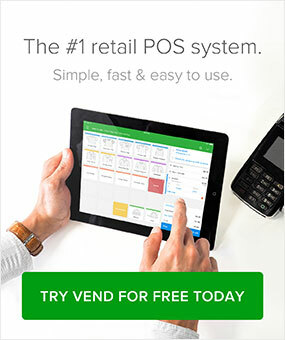 Find out more about New Vend here! Check out the new, improved Inventory Counts feature for yourself in your Vend Dashboard (Products > Stock Control > Stock-Take). Or take a look at the video below for more info. We want to make the transition to the new Inventory Counts as smooth as possible which is why any open count created before March 10th will still be accessible. You’ll be able to complete those counts using the previous Stocktake feature until April 10th, after which any uncompleted stocktakes will be deleted and inaccessible. For more detailed instructions for using Inventory Counts in Vend, check out our Help Center article here. Check out our blog to see why Inventory Counts are so important for running successful retail here. If you need any help or have any questions, get in touch with us by email or on Twitter. Not a Vend user? We’d still love to help you stay on top of your inventory. 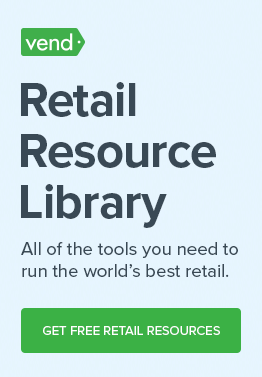 Consider downloading Vend’s free Excel inventory spreadsheet. This nifty tool gives you vital inventory and sales data instantly. Use it to calculate metrics like GMROI, stock turn, shrinkage, conversion rate, and more. looks great. should we be seeing it now? We’ve added a Stock Value column to our exported reports. Once you finish your inventory count, you’ll be given this value. You can find more info about that on our Help Center article about Inventory Counts. http://support.vendhq.com/hc/en-us/articles/203682194-What-is-an-inventory-count-and-how-do-I-complete-one-? We’re in the US using the Vend Register iPad app. We’ve lost the ability to do the old stock-take procedure on the iPad app and an error message says we can’t use this new procedure either unless we log into Safari but when we try to do that it’s not working either. When will that be fixed? Can you give us back the old sock-take procedure within the iPad app until you get the new procedure up and running? 10 minutes to load is far too long. The data loading usually only occurs the first time you load the new Inventory Counts feature, and for customers with large inventories. We’ve just released an update that helps reduce this time. I’m sorry for the inconvenience! Let us know how you get along or if you need any help. Tried to do a stock take this morning, took forever to load then simply froze. We have a large database but everyone at Vend assured us that it would be no problem. 31st March is coming upi very fast…..any ideas anyone? This look great guys…. unfortunately it is extremely slow and looks like it needs some work!! We are aborting our stocktake and starting again in two weeks. My suggestion would be to make the old stocktake process available until the performance issues are sorted. Nice functionality guys! Would be really good if there was a free text field which you could add a memo to the Inventory counts. Also, would be awesome if you could see the value of the completed adjustments at the list view. We are making inventory count on 3 registres 3 scanners at same time. But it takes forever to load the sku??? from scan of barcode to registration in vend it takes about 3sec? Can this be true?